70 Feet on Beautiful Lake Huron 3 Bedroom 2 Bath Ranch Stunning Home...Redone from the studs, both inside and outside in 2014! The Great Room windows give you a panoramic View of Lake, along with the Master Suite on the Water to hear the waves and enjoy the beauty. This home has a Southern Charm, with the breezes from Lake Huron...Cathedral Ceilings in Living Room, Trey Ceiling in Master Bedroom and Octagon Trey ceiling in Kitchen definitely gives you flair~ Tasteful Cherry Cabinets in Kitchen with lots of counter space & cupboards, great for entertaining. Home has daylight throughout, all Bedrooms are nice sized too. Bathrooms have Solid Surface Countertops, like new as this home has been used only summer months. Updates include 200 amp Electrical Service, Copper Plumbing, Kohler Fixtures, 6 Panel doors, Low E Energy efficient windows with 6 inch Construction. The lot is deep with a Steel Seawall, Rock Crib and Pylons on the water, Brick Retaining Walls are very nice. Newer Roof & Soffits, siding and pretty entrance doors! Patio off doorwall from the Dining/Great Room... Home is ready for a new owner to enjoy as the family has since 1947. 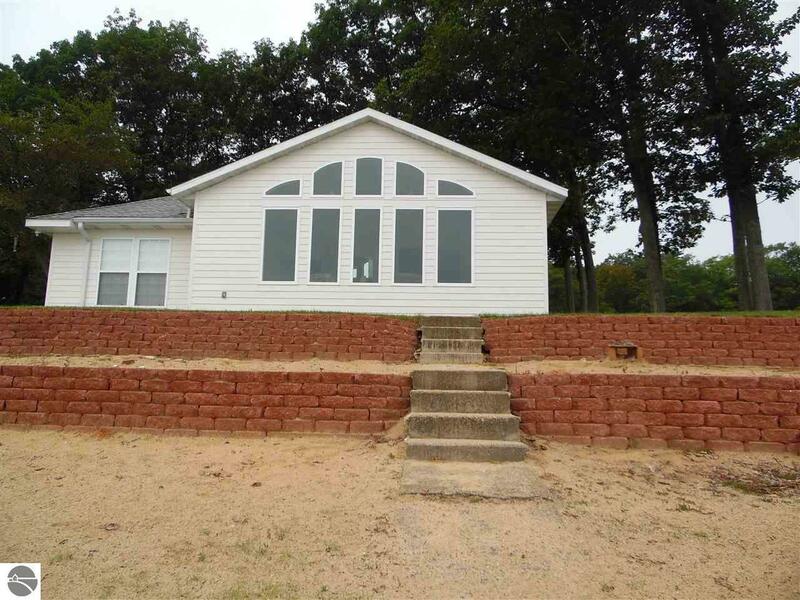 Waterfront: All Sports, Sandy Bottom, Great Lake, Yes, 70 Ft.